Sea of Henoko, Nago, Okinawa - where the endangered marine mammal dugong feed on the rich varieties of sea grasses, and where US and Japanese governments want to build a new military base. The morning after Okinawa's gubernatorial election, in which anti-Henoko candidate Iha lost to incumbent Nakaima (who has been ambiguous about the base issue), the reporter in the 7 a.m. NHK news said, "I see a thin ray of light in the darkness." He talked as if he personally had been in that "darkness." He meant that Nakaima's win, instead of Iha's, brought some hope to the current situation, notably the strained US-Japan relationship over the base "relocation" issue. But then I thought: Hope for what? Light for whom? 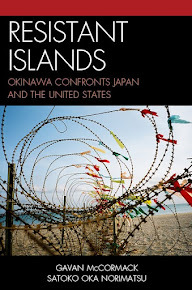 It was Okinawa that has been in the darkness with the unfairly heavy burden of hosting US military bases. 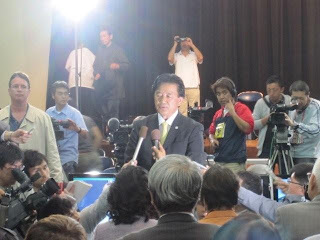 Before the election, all the mainland and international media supported Nakaima and his camp's strategy to blur the difference between the two candidates. Then the focus of the debate shifted to economy, and Nakaima attracted more votes, promising and hinting more economic developments, subsidies, and continued base-related contracts and incomes. He was backed by LDP and Komeito, the combination of the previous government who want to see a "relocation" base built in Henoko. Nakaima won the election by deceiving many Okinawans into believing that he was committed to moving the base outside of the prefecture and lulling others into not bothering to vote, and now that he has won, he is welcomed with open and warm hands by the mainland politicians with "the sense of relief." Well, the "sense of relief" for the Tokyo politicians is the "sign of alarm" for Okinawans. Now the Tokyo politicians are ready to roll up their sleeves and start negotiating with Nakaima, who is more than ready to be in the talk to get the most favourable terms for Okinawa in exchange for building the Henoko base. Gabe said that the most effective way for Tokyo to gain the support of Okinawa is to keep pouring money into the prefecture. The government has given 3.56 billion yen (about $44.5 million) to Okinawa under the Realignment Contribution Subsidy since Camp Schwab and its adjacent community of Henoko were chosen as the relocation site, according to the Ministry of Defense. “After all, money talks,” Gabe said. 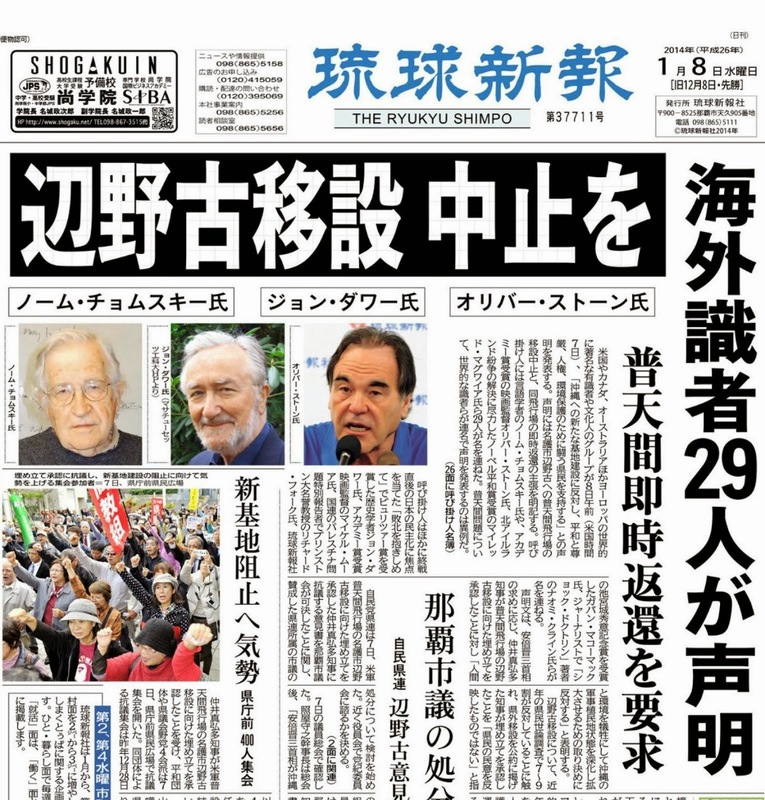 Money, power, and dirty connections will continue to run the country, this "alliance," and Okinawa. For Okinawans, democracy, principle, citizenship --- everything that Iha and his candidacy represented was shuttered. 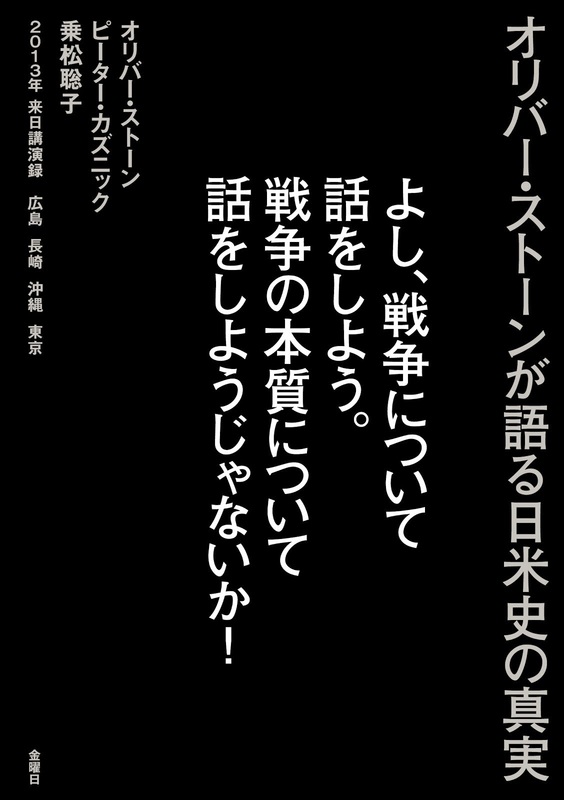 In a way, this election completed the DPJ and Hatoyama's betrayal on Iha and Okinawans who believed they would bring a change they promised. But Hatoyama betrayed the pledge of not building another base in Okinawa and resigned. DPJ has completely changed its position on the issue now, and Kan expressed his commitment to "deepening" the alliance, and following through the Henoko base plan. 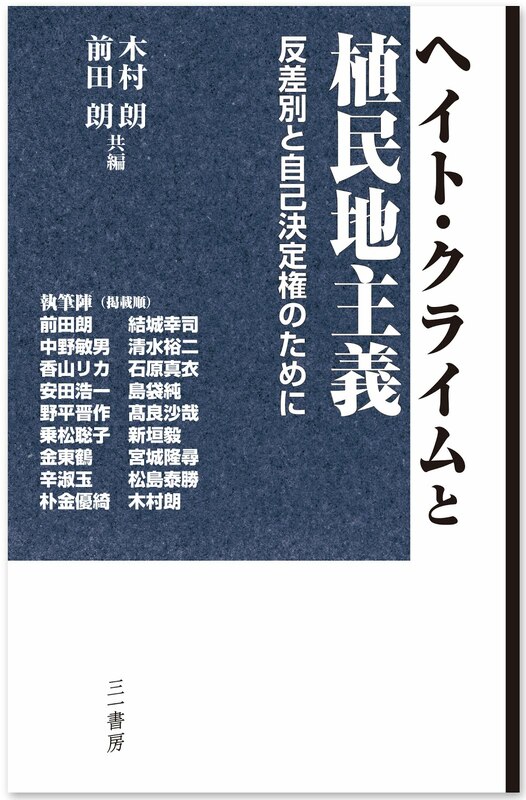 DPJ did not endorse any candidate in this election; they virtually detached and abandoned Okinawa: what Japan has done to the island nation since the WWII. It is ironical to imagine that if DPJ did not take the government last year and LDP stayed in power, this election could have been about Iha with DPJ backing VS. Nakaima with LDP/Komeito, in which case Iha would have had a better chance of winning. The series of the international events in the region and how the governments and media capitalized on them to further orchestrate the fear of regional threats must have certainly played a role. The March 26 sinking of South Korean warship Cheonan was attributed to North Korea's torpedo attack in the South Korea-led "investigation" team. 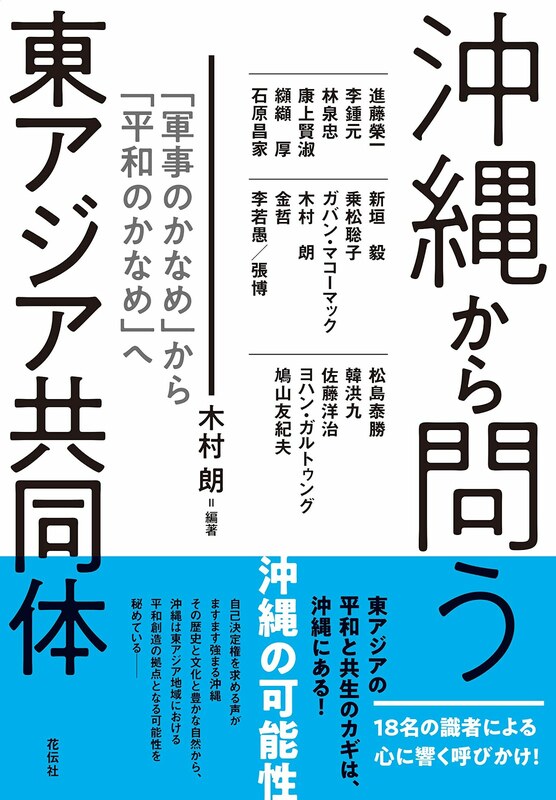 The report, which we now know was full of flaws and incoherent "evidences," was issued on May 20, days before Hatoyama gave in, and US/Japan issued a joint statement to confirm their intention to build a "replacement" base in Henoko. 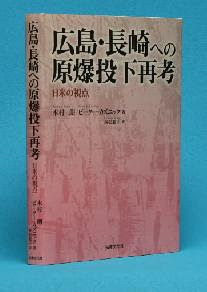 The September 7 ship collision around Senkaku/Diaoyu Islands has been used to instigate unproductive nationalism, fear of China, and to justify military build-up on Okinawa and the "forward islands" near the border with China. The November 23 military collision between North and South Korea over the disputed sea border was again ued to escalate the joint military exercise of US and South Korea in the Yellow Sea. Yesterday, as Okinawan voters went to the polls, TV news was filled with images of nuclear-powered USS George Washington in the joint drill happening on that day, and repeated re-runs of the leaked video of the Chinese fishing boat colliding with the Japanese Coast Guard ship. Back in January, Nakaima supported the pro-base incumbent in the mayoral election of Nago, where Henoko, the planned site for the "replacement" base is. Anti-base candidate Inamine Susumu won that election, and Inamine, like Iha, is unequivocally opposed to base construction, whether on land, or on the ocean. In September election of Nago City Assembly, Nakaima also helped the pro-base candidates, but the overwhelming majority was won by anti-base candidates in that election. Nago's voices are clear. Okinawans' voices are also clear, but because of the "Nakaima confusion," many of votes that belonged to Iha swayed into Nakaima's hands. Now, Nakaima is truly accountable for actually following through his superficial pledge to push the two governments to review the existing agreement(to build in Henoko), and to "move Futenma out of the prefecture." He has never said he opposed the Henoko plan or never said that he would not approve reclamation to build a sea-based base, but the expectation is mounting, and he must deliver what he said and what that logically indicates. Four years ago too, he pledged the resolution for the Futenma issue and also for Okinawa's lowest income, and highest unemployment rate in the country, but not having delivered any of them, he was re-elected. 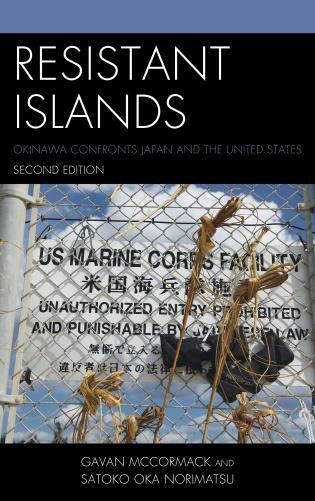 For our past discussion on the issue of US military bases in Okinawa, see HERE. Here is an essay by Tomoe Otsuki, a Ph.D. candidate at the Ontario Institute for Studies in Education of the University of Toronto, to reflect on the Hiroshima/Nagasaki Peace Studies Tour that she participated in this summer. Thank you Tomoe, for this insightful essay. If to remember is to provide the disembodied 'wound' with a psychic residence, then to remember other people's memories is to be wounded by their wounds (Threshold 189, emphasis is mine). Survivors stories are irreplacable in their witness of the event, but they do not provide models of remembrance for those who did not experience the destruction firsthand. Without detracting from the specificity of the experience of children of survivors, I want to take seriously that second-generation narratives have something to say to post-Holocaust generations about what it means to live after the Holocaust, and of how to create an identity in relation to the past. Those committed to learning about the Holocaust must read these texts too as testimony, as they bear witness to the struggle of living within the shadow of the destruction (Rachel N. Baum, p. 95). Iha Yoichi (left), and Nakaima Hirokazu (right). 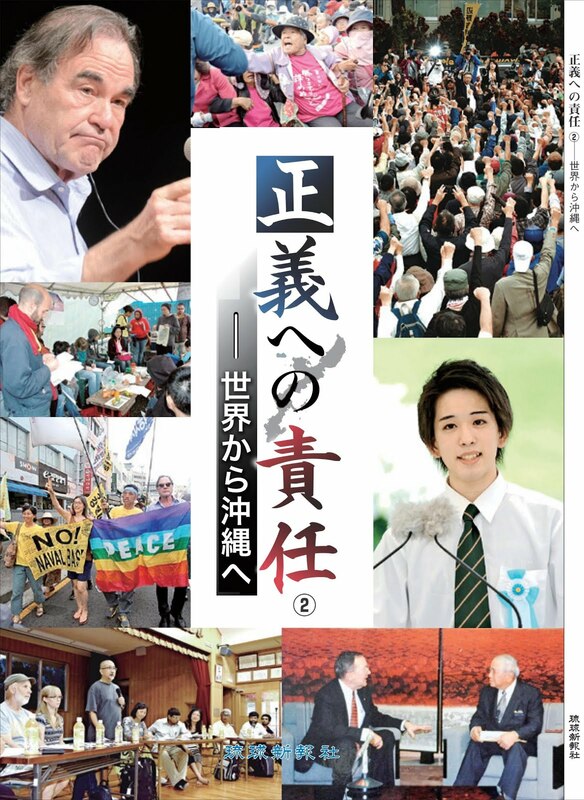 "If Iha loses in this election, the anti-base movement will lose its credibility, and Okinawa will be ignored by the mainland Japan and the government, even more than it has been. 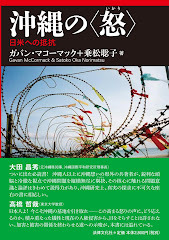 Voices that oppose and call for revision of ANPO (Japan-US Security Treaty) will disappear not just from Okinawa, but all across Japan. Japan will reinforce its "client-state" position with the United States. This election has crucial significance: not just regional, but national, and international. This election will be a true test of Okinawan voters' citizenship. " For previous post on the Okinawa gubernatorial election, see HERE. MR. CROWLEY: Let me take that question. 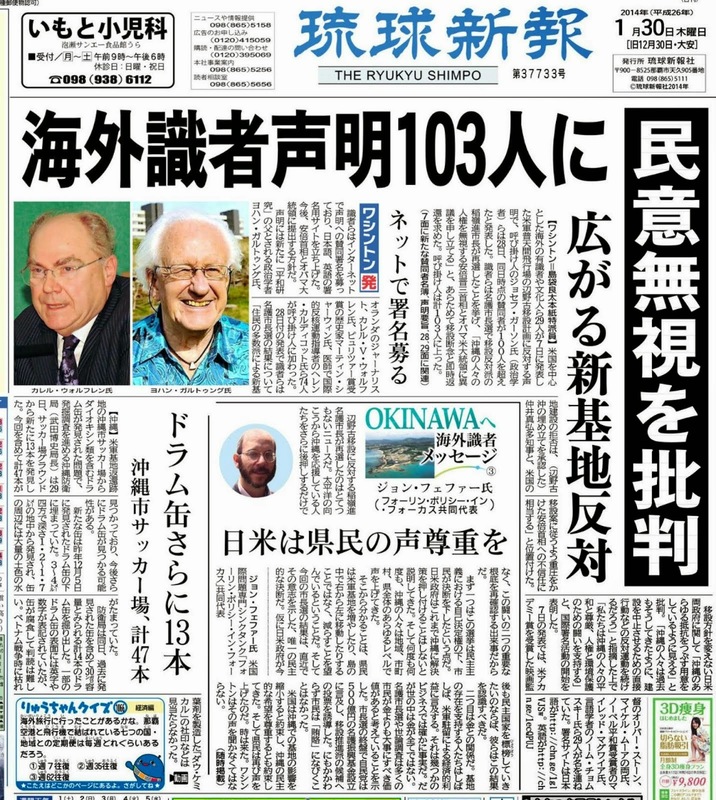 MR. CROWLEY: Well, first of all, the elections in Okinawa and elsewhere are decisions for the Japanese people. We have worked hard this year to develop a way forward on Futenma with the national government. As part of that, we certainly have and they have engaged Okinawan leaders to help them understand the importance of the U.S. presence in Okinawa. And this is a conversation that we’ve had. We’ve produced a shared game plan on the way forward and we will continue to work with Japan to carry it out. Foreign Policy in Focus: John Feffer on Chalmers Johnson's departure - "It's a Shame Chalmers Johnson Did Not Live to See the U.S. Air Base on Okinawa Closed"
"The Impact Today and Tomorrow of Chalmers Johnson" by Steve Clemons on the Washington Note. Chalmers Johnson died on November 20. A great loss... of a conscientious public intellectual, so rare in this world. He was well-respected within the Japanese progressive community, for his support for Okinawa and for Article 9. 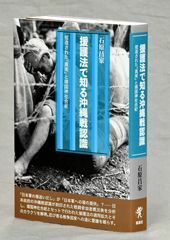 His statement that had the most influence on me was that Article 9 was an apology for Japan's neighbouring nations, and throwing that article would mean throwing that apology(Film Japan's Peace Constitution, directed by John Junkerman). His Op-Ed in LA Times on May 6 became his last word for Okinawa (quoted below). He won't just be remembered; he and his work will continue to live, through our work for Okinawa, Article 9, and a fair and just world. 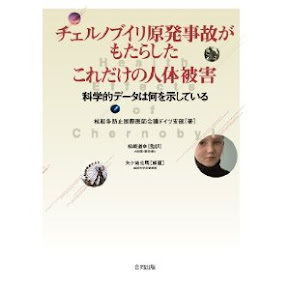 Here are messages from two Okinawan scholars who worked with Chalmers Johnson. Chalmers has been my number one teacher in matters political, especially since he began to pay attention to Okinawa's tragedy. 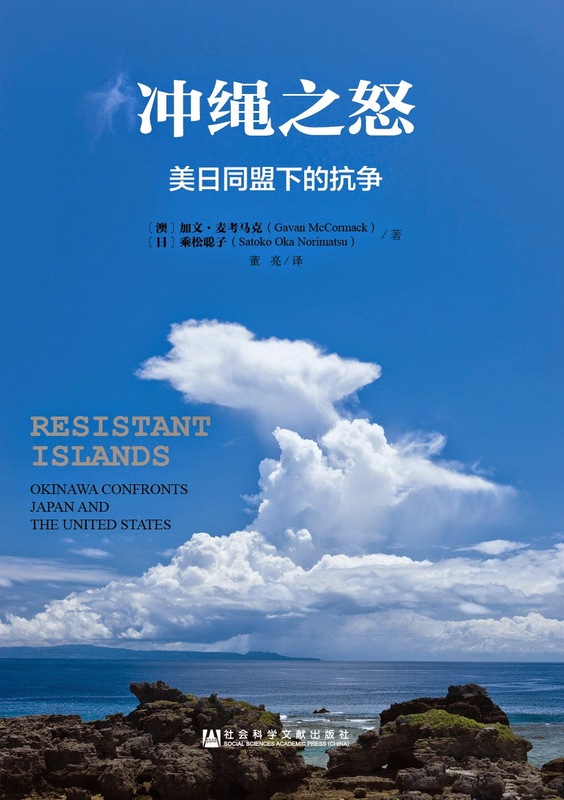 Under his encouragement and guidance, I have written a few Okinawa articles that I otherwise would never have been able to put in proper form. I mourn my personal teacher/mentor's passing. 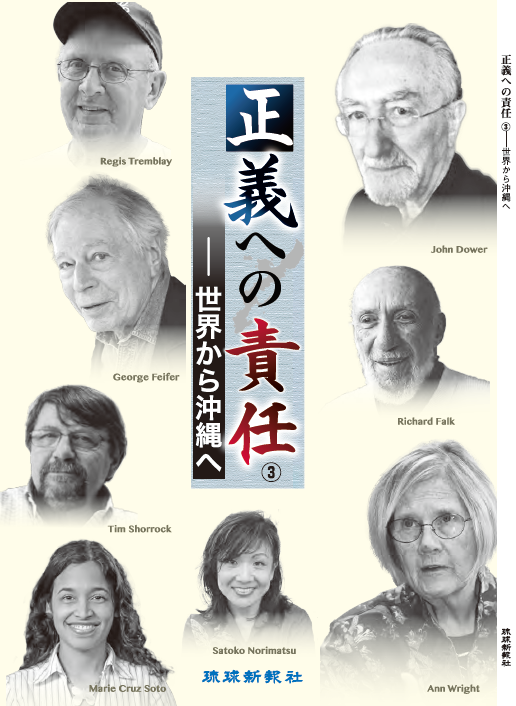 I, and I assume many other Okinawans, deeply regret Professor Chalmers Johnson's death. We lost a great intellectual who not only firmly believed in justice for U.S. foreign policy in general but tried to correct the injustice in Okinawa, an island which he called a "military colony. 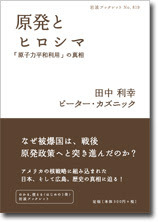 "Personally, I am very thankful to him for his very kind preface to my book Democracy Betrayed: Okinawa under U.S. Occupation. See other video links of Chalmers Johnson HERE（英語ですが、ジョンソン氏のビデオは他にもたくさんあります。ここをクリックしてください）. Despite protests, the U.S. insists on going ahead with plans for a new military base on the island. The United States is on the verge of permanently damaging its alliance with Japan in a dispute over a military base in Okinawa. This island prefecture hosts three-quarters of all U.S. military facilities in Japan. Washington wants to build one more base there, in an ecologically sensitive area. The Okinawans vehemently oppose it, and tens of thousands gathered last month to protest the base. Tokyo is caught in the middle, and it looks as if Japan’s prime minister has just caved in to the U.S. demands. So was born the Nago option in 1996 (not formalized until 2006, in a U.S.-Japan agreement). Nago is a small fishing village in the northeastern part of Okinawa’s main island and the site of a coral reef that is home to the dugong, an endangered marine mammal similar to Florida’s manatee. In order to build a large U.S. Marine base there, a runway would have to be constructed on either pilings or landfill, killing the coral reef. Environmentalists have been protesting ever since, and in early 2010, Nago elected a mayor who ran on a platform of resisting any American base in his town. I find Hatoyama’s behavior craven and despicable, but I deplore even more the U.S. government’s arrogance in forcing the Japanese to this deeply humiliating impasse. The U.S. has become obsessed with maintaining our empire of military bases, which we cannot afford and which an increasing number of so-called host countries no longer want. I would strongly suggest that the United States climb off its high horse, move the Futenma Marines back to a base in the United States (such as Camp Pendleton, near where I live) and thank the Okinawans for their 65 years of forbearance. The U.S. “Empire of Bases” — at $102 billion a year already the world's costliest military enterprise — just got a good deal more expensive. As a start, on May 27, we learned that the State Department will build a new “embassy” in Islamabad, Pakistan, which at $736 million will be the second priciest ever constructed — only $4 million less, before cost overruns, than the Vatican City-sized one the Bush administration put up in Baghdad. Whatever the costs turn out to be, they will not be included in the already bloated U.S. military budget, even though none of these structures is designed to be a true embassy — a place, that is, where local people come for visas and American officials represent the commercial and diplomatic interests of their country. Instead these so-called embassies are actually walled compounds, akin to medieval fortresses, where American spies, soldiers, intelligence officials and diplomats try to keep an eye on hostile populations in a region at war. One can predict with certainty that they will house a large contingent of Marines and include roof-top helicopter pads for quick getaways. While it may be comforting for State Department employees working in dangerous places to know that they have some physical protection, it must also be obvious to them, as well as the people in the countries where they serve, that they will now be visibly part of an in-your-face American imperial presence. We Americans shouldn’t be surprised when militants attacking the U.S. find one of our base-like embassies, however heavily guarded, an easier target than a large military base. And what is being done about those military bases anyway — now close to 800 of them dotted across the globe in other people’s countries? Even as Congress and the Obama administration wrangle over the cost of bank bailouts, a new health plan, pollution controls and other much needed domestic expenditures, no one suggests that closing some of these unpopular, expensive imperial enclaves might be a good way to save some money. Instead, they are evidently about to become even more expensive. On June 23, we learned that Kyrgyzstan, the former Central Asian Soviet Republic that back in February 2009 announced it was going to kick the U.S. military out of Manas Air Base (used since 2001 as a staging area for the Afghan war), has been persuaded to let us stay. But here’s the catch: In return for doing us that favor, the annual rent Washington pays for use of the base will more than triple from $17.4 million to $60 million, with millions more to go into promised improvements in airport facilities and other financial sweeteners. I suspect this development will not go unnoticed in other countries where Americans are also unpopular occupiers. For example, the Ecuadorians have told us to leave Manta Air Base by November. They could probably use a spot more money. And what about the Japanese who for more than 57 years have been paying big bucks to host American bases on their soil? Recently, they reached a deal with Washington to move some American Marines from bases on Okinawa to the U.S. territory of Guam. In the process, however, they were forced to shell out not only for the cost of the Marines’ removal, but also to build new facilities on Guam for their arrival. Is it possible that they will now take a cue from the government of Kyrgyzstan and just tell the Americans to get out and pay for it themselves? Or might they at least stop funding the same American military personnel who make life miserable for whoever lives near the 38 U.S. bases on Okinawa. In fact, I have a suggestion for other countries that are getting a bit weary of the American military presence on their soil: Cash in now, before it’s too late. Either up the ante or tell the Americans to go home. I encourage this behavior because I’m convinced that the U.S. Empire of Bases will soon enough bankrupt our country. This is, of course, something that has occurred to the Chinese and other financiers of the American national debt. Only they’re cashing in quietly in order not to tank the dollar while they’re still holding onto such a bundle of them. Make no mistake, though: Whether we’re being bled rapidly or slowly, we are bleeding; and hanging onto our military empire will ultimately spell the end of the United States as we know it. Chalmers Johnson is the author most recently of a trilogy: “Blowback: The Costs and Consequences of American Empire”; “The Sorrows of Empire: Militarism, Secrecy, and the End of the Republic,” and “Nemesis: The Last Days of the American Republic.” This article first appeared at TomDispatch.com. Our colleague Makiko kindly translated the HaniTV video's narration and subtitles on Cheonan sinking into Japanese. Please see below. Please see this LINK for the English and Korean versions of the video. Scripts provided at courtesy of HaniTV. 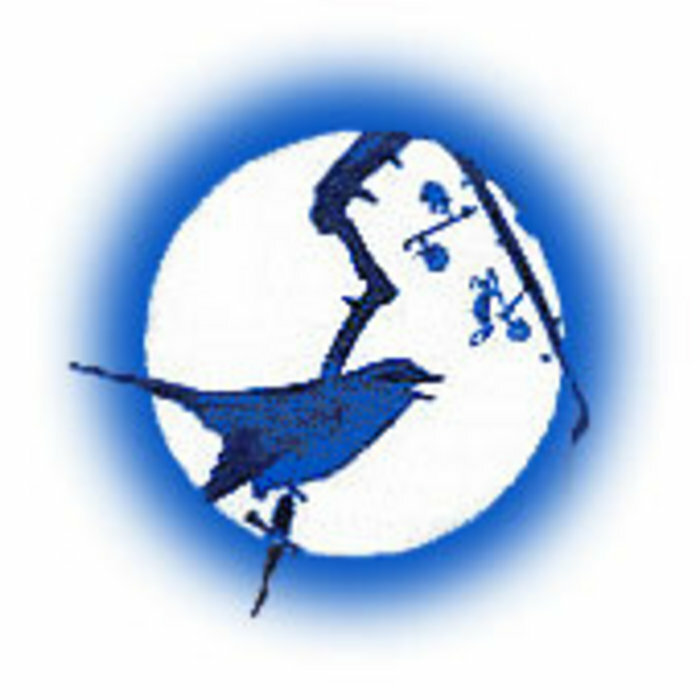 HaniTV is the video production division of Hankyoreh, South Korea’s leading independent daily. From the moment new broke of the ship’s sinking, Hankyoreh and HaniTV have worked to uncover the facts behind what happened. Our findings uncovered siginificant flaws in the Civilian-Military Joint Investigation Group’s report. This documentary is a summary of our findings to date. On March 26th, the South Korean Naby’s patrol combat corvette (PPC) Cheonan sank and with it took the lives of 46 of the 104 sailors abroad. Our heartfelt condolences go to the families and those who lost loved ones that day. SBS News: Military authorities continuously changed their story. 0. 2010년 3월 26일 밤. 천안함의 승조원들은 닥쳐올 비극을 모른 채 평온한 일상을 보내고 있었습니다. 우리는 이날 밤 그들이 죽음을 맞은 이유에 대해 명확히 알고 있지 못합니다. On the night of March 26th, crewmembers of the South Korean naval warship Cheonan wrapped up an ordinary day, unaware of the tragedy on the horizon. Those were the last known moments of the ship, and the reason for the ship’s sinking remains unknown. 1. 그들이 탄 배는 남북이 대치한 백령도 인근에서 침몰했습니다. 함수와 함미가 인양된 뒤 본격적인 조사에 착수한 민군합동조사단은, 5월 20일 천안함을 침몰시킨 범인으로 북한을 지목했습니다. 사건이 일어난지 두달도 안된 시점이었고, 6.2 지자체 선거운동 개시일이었습니다. The Cheonan, a patrol combat corvette, sank southwest of Baengnyeong [백령] Island. The South Korean government put together a Joint Civilian-Military Investigation Group that included representatives from the United States, Great Britain, Sweden and Australia and launched a full-scale investigation after salvaging the sunken vessel. On May 20th, the investigation group released their findings and pointed to North Korea as the culprit. The day fell just 2 months after the accident, and also coincided with the official launch of the June 2 municipal elections campaign season. 2. 합조단의 결론은 이렇습니다. 백령도 서쪽에서 경비 중이던 천안함은, 9시 22분경 한미 해군 레이더망을 피해 잠입한 북한 잠수정에 의해 기습당합니다. 이 연어급 잠수정이 쏜 중어뢰가 천안함 가스터빈실 아래에서 폭발해 버블효과 물기둥을 일으켰고, 천안함의 허리를 쪼갰다는 것입니다. 그러나 합조단의 결론은 곧바로 숱한 논란을 일으켰습니다. The investigation team put together its narrative of what happened that night. The Cheonan, while guarding the west coast of the Baengnyeong [백령] Island, was ambushed by a North Korean Yono-class submarine that had penetrated deep into the West Sea, where a joint U.S.-South Korean military drill had taken place earlier that evening. The submarine launched a heavy torpedo, which exploded just below the midsection of the ship, splitting the warship in two. Their conclusion, however, has remained the subject of intense controversy. (The following are some of the controversies that have arisen. Group has never given a full explanation. The Joint Investigation Group said residue found on the ship’s hull and on the torpedo was produced at the time of the explosion. Scientists who analyzed the data said the residue is unrelated to the explosion. ‘No. 1 torpedo’allegedly launched by North Korea. The blueprint later turned out to be incorrect. The South Korean Ministry of Defense frequently changed the official time of the incident and related footage, leading to a loss in the South Korean public’s trust. Two weeks after the report’s release, the South Korean people deal the President’s Grand National Party a stunning loss in the June 2 municipal elections. The South Korean military cited testimony of Marine guards stationed on Baengnyeong Island who said they “observed a white light at the time of the incident” as evidence of a water column. It is later revealed that the marine guards consistently testified in military investigations that they judged the flash and sound to be lightning and thunder. The South Korean military also cited a statement by a port-side lookout aboard the Cheonan who said he felt droplets of water splash on his face as evidence of a water column. The calculated size of the water column would have to be over 100 meters high, producing far more than water droplets. 13. 취재진이 단독 입수한 러시아 조사단 보고서 요약본에 따르면, 러시아 조사단은 사건 원인과 시간에 대해 한국 측 조사 결과가 들어맞지 않는다고 결론지었습니다. 러시아 조사단은 천안함이 기뢰에 의해 침몰됐을 가능성을 제기했고, 그 이전에 수심이 낮은 해역에서 1차적 사고를 당했다고 봤습니다. 즉, 사고가 두 번 있었다는 것입니다. Hankyoreh journalists obtained an exclusive copy of the Korean abstract of the report entitled “Data from the Russian Naval Expert Group’s Investigation into the Cause of Sinking of the South Korean Naval Vessel Cheonan.”　The report was a marked contrast to the Joint Investigation Group’s findings. The Russian team concluded that it was not a torpedo, but a floating mine in the water that was responsible for the ship’s sinking, and that before the explosion, the ship had run aground in shallow water. In other words, they believed that two accidents occurred before the sinking. 14. 이와 관련해 도널드 그레그 전 주한미국대사는 뉴욕타임스 인터넷판과 인터내셔널해럴드트리뷴에 흥미로운 글을 기고했습니다. 러시아 고위 인사에게 왜 자국 조사 결과를 공개하지 않느냐고 물어봤더니, 그 조사 결과가 이명박 정권에 큰 정치적 타격을 주고 오바마 행정부를 당황하게 할 수 있기 때문이라고 대답했다는 것입니다. Former U.S. Ambassador to South Korea Donald Gregg referred to the Russian Naval Experts’ theory in an Op-ed in the International Herald Tribune on August 31st. 15. 러시아 조사단은 스크루에 엉켜 있는 어선 그물의 존재를 환기시키고 폭발이 일어나기 전에 천안함이 해저면에 닿아 스크루가 훼손됐다고 설명합니다. 즉 천안함이 직면한 1차적 사고는 좌초 혹은 그와 유사한 상황이라는 것입니다. 30년 간 해난 구조 작업을 해 온 이종인씨는 천안함 사건의 원인이 좌초라고 주장해 왔습니다. The Russian team’s report states the vessel’s propeller became entangled in a fishing net as it was sailing through shallow waters off the coast of Baengnyeong [백령] Island. The ship likely ran aground, and it was this occurrence that was the first cause of the sinking. Lee Jong-in, CEO of Alpha Underwater Technology Corporation specializing in ship wreckage recovery, with over 30 years of salvaging experience, has strongly stressed in his opinions that the ship wreckage points to the fact that the ship had run aground, not that an explosion had occurred. 16. 이 그래픽은 사고 당일 밤 아홉시부터 사고 순간까지 천안함의 항적에 대해, 군과 전문가의 설명을 바탕으로 재구성해본 것입니다. 군의 공식 폭발원점은 수심이 45미터가 넘어 좌초의 여지가 없습니다. 그러나 천안함의 좌초 가능성과 관련해 주목할만한 진술이 있습니다. 바로 백령도 해안 박아무개 초병의 자필 진술서입니다. 그는 당시 섬광을 목격했다는 김 아무개 초병과 함께 초소에 있었습니다. This computer graphic tracks the ship’s path from 9:00p.m. on March 26th to the moment of the incident. The military stated that the water level at the site of the sinking was more than 45 meters, which meant the ship had no chance of running aground. However, others also gave significant statements about these claims. This is the handwritten statement of a marine stationed on the coast of Baengnyeong [백령] Island. He is one of the two guards who spotted the white flash when the incident happened. 17. 그 역시 섬광을 목격했다고 진술했습니다. 그런데 그는 섬광이 두 개 였으며 오른쪽 섬광은 두무진 돌출부에 의해 가려져 잘 보이지 않았다고 합니다. 그가 섬광을 봤다고 지목한 지점은 두무진 끝자락이고 군의 공식 폭발 원점과는 상당한 거리가 있습니다. 게다가 수심이 얕아 좌초 가능성이 있는 지역입니다. 군의 공식 폭발 원점은 탁트인 바다라 불빛이 가려질 여지가 없습니다. The guard talked about the white flash. He said there were two flashes, and the one on the right was partially blocked by Doomujin spur, a large projection of land located unmistakably northwest from the guard’s watch station. The Joint Investigation Group, however, designated the location of the sinking as southwest, an entirely different direction. Shallow waters are located next to Doomujin spur, maintaining the possibility that the ship ran aground. Guards at the watch station have an unobstructed view, leaving little chance that the guard misidentified the area. 18. 그의 다음 진술은 더 놀랍습니다. 그는 밤 9시30분경, 초소 기준 180도 방향으로 3km 떨어진 지점에서, 해군함이 좌초된 초계함을 구조했다는 것입니다. 이 지점은 수심이 얕은 해안 인접 지역입니다. 게다가 좌초라고 쓰고 있습니다. 19. 이에 최문순 의원과 기자들은 알파 잠수 이종인 대표의 도움을 받아 이 지점에 대한 해안 조사를 벌였습니다. 그 결과, 해도 상에는 존재하지 않는 여러 암초와 사구의 존재를 확인할 수 있었습니다. National Assembly Lawmaker Choi Moon-soon of the main opposition Democratic Party investigated the site with several reporters, including HaniTV. At the investigation site, they discovered reefs and sand dunes under the sea that were not marked on the map. 20. 러시아 조사단은 또 사고 시간과 관련해 뜻밖의 사실을 알려줍니다. 천안함 내부에 설치돼 있던 CCTV의 마지막 촬영 시간이 군 발표와 달리 9시17분이라는 겁니다. 군은 CCTV가 전류가 끊기기 1분 전까지 녹화되도록 설정되었으며, 마지막 촬영 시간이 21분이므로 군의 공식 사고 시각 9시22분과 일치한다고 발표했습니다. 때문에 CCTV 시간은 군의 주장을 뒷받침해주는 중요한 근거였습니다. The report by the team of Russian experts mentioned another important factor previously unknown by the public. The last time recorded by the ship’s CCTV was 9:17 p.m. Military authorities previously reported the final time code as 9:21 p.m. CCTV recording systems record images one minute after they occur, meaning the time code would register the incident as 9:22p.m. The CCTV’s time code served as important evidence in relation to the time of the incident. 21. 마지막 촬영 시간이 21분인지 17분인지는 CCTV 동영상에 찍혀 있는 시간을 보면 알수 있습니다. 대부분의 CCTV는 상황이 벌어진 시각을 정확히 알수 있도록 화면 어딘가에 정확한 현재 시각이 찍혀 나오도록 돼 있습니다. 그런데 군이 국회 천안함 특위 위원들에게 제공한 CCTV 화면 스틸을 보면 어디에도 시간은 찍혀 있지 않습니다. The CCTV on the Cheonan, like most CCTVs, have a precise time code on the screen, so that the time when the camera recorded the image is both clear and visible. However, in the images submitted to the National Assembly’s special committee, the time code is missing. 22. 군 역시 CCTV 화면에 찍혀 있는 마지막 시간이 17분이라는 점은 인정했습니다. 그렇다면 군 설명대로 CCTV가 실제 시간과 오차가 날수 있는 것인지 전문가에게 물어봤습니다. Authorities stated that the final time recorded on the CCTV footage was 9:17 p.m. We contacted a CCTV expert to find out if their explanation was plausible. 23. 미스테리는 이뿐이 아닙니다. CCTV 시간은 각기 다른 시간대에 끊겼으며 빠른 것은 13분에 끊긴 것도 있습니다. The controversy went further. All of the cameras shut down at different times, and some of them even stopped at 9:13 p.m., at least 8 minutes earlier than the time recorded, according to the Joint Investigation Team. Minister: “ Yes, that is correct… the only answer we have is that it was due to a time error. 24. 또한, 군은 당초 천안함에 설치한 11대의 CCTV 가운데 여섯 대만 부분 복원에 성공했다고 밝혔습니다. 그러나 천안함 CCTV 복원을 맡은 업체의 말은 다릅니다. Military sources also did not release all of the footage. They announced that only 6 of the 11 cameras were restored, but the company responsible for the restoration gave a different statement. 25. 군은 국회 천안함 특위 위원들에게 이 스틸을 CCTV의 마지막 장면으로 제시하면서, 장병들이 운동을 하는 등 평온한 상태였다고 전하고 있습니다. The military released these pictures as the last scenes captured by the CCTV footage. Here, sailors go about their daily routines, including exercise aboard the ship. 그런데 화면 속에서 순찰을 돌며 다섯 곳에 등장한 A 하사의 시신은 함미가 아닌 함수쪽 자이로실에서 나왔습니다. 스틸 속에서 A 하사는 얼룩무늬 군복을 입고 있습니다. 그러나 시신은 검은색 동절기 근무복을 입은 채 발견됐습니다. 스틸 속 장면과 사망 순간 사이에 일정 시간 간격이 있음을 알 수 있습니다. all five sets of footage were not taken in the bow, but in the ship’s stern. last moments before the ship sank. 디젤기관실에서 근무하던 두 하사의 시신은 각기 다른 곳에서 나왔습니다. 한명은 그대로 디젤기관실에서 발견된 반면, 다른 한명은 승조원 식당에서 발견됐습니다. Here, two officers work in the diesel engine room. Both would become fatalities of the incident. The body of one officer was discovered in the same room, but the body of the other was discovered in the crew cafeteria. 군은 이 장면이 CCTV에 찍힌 마지막 장면이라고 하면서도 녹화 시간을 뺏습니다. 우리는 이 장면이 실제 천안함의 마지막 순간인지 아니면 9시13분에서 17분의 상황인지 알 수 없습니다. 또한 이 장면 이후 어떤 상황이 발생한 것은 아닌지도 알 수 없습니다. The military declared that this was the last footage recorded aboard the ship, but the time code has disappeared from the footage. This could very well be footage of the ship’s last moments, just as the military explained, but some believe it could also be the time between 9:13 and 9:17. What happened on the ship between these moments and the ship’s sinking remains unknown. 공교롭게도 이 13분에서 17분은 엠비씨가 공개한 바 있는 해군 및 해경 상황일지의 최초 상황발생 보고 시간과 비슷한 시간대입니다. Strangely, the time code on the CCTV recordings disappears right around the time of the incident, reported by the South Korean navy and maritime police to superiors a few days after the incident. The times were later disclosed by a television reporter. 25-1. 9시22분 전에 다른 상황이 있었다면 아무 이상이 없었던 천안함이 어뢰 공격으로 일격에 침몰됐다는 군의 발표는 설득력을 잃어버립니다. 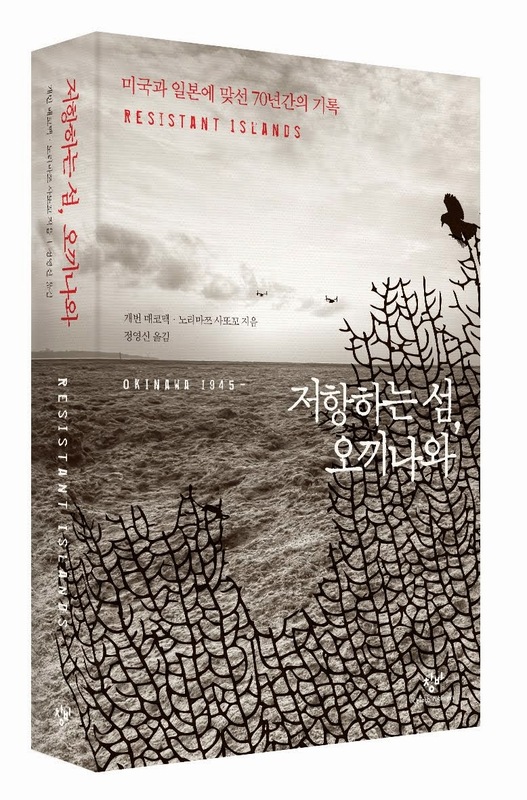 어뢰 공격의 직접 증거인 1번 어뢰는 끝없는 의혹을 받아 왔습니다. The Joint Investigation Group concluded that a torpedo from a North Korean submarine struck the ship, and stated that there were no circumstances prior to 9:22 p.m. that were out of the ordinary. If any irregular situation transpired before 9:22 p.m.,then the Joint Investigation Group’s “surprise attack theory” should be reconsidered. In fact, the fragments of No.1 torpedo, the Joint Investigation Group’s “smoking gun,” have been contested by experts since they were first introduced to the public on May 20th. 26. 게다가 어뢰를 발견했다는 폭발원점 인근에서 정밀한 수색이 가능했는지도 의문입니다. Questions remain about whether such a precise search was possible in the location where a trawler discovered the torpedo fragments. 최문순 의원과 기자들은 공식 폭발원점 근처 해역을 조사하다가 2000톤급의 침몰선을 발견했습니다. Lawmaker Choi and reporters discovered a 2,000 ton sunken vessel near the site of the sinking during their investigation. 27. 합조단은 이 침몰선이 일제시대의 상선으로 추정된다며, 그 존재를 사건 초기부터 알고 있었다고 말합니다. 천안함과의 연관성이 없는 것으로 판단해 공개하지 않았다는 것입니다. 전문가들은 그러나 이 정도로 큰 침몰선이 해당 해역에 잠겨 있었다면 1번 어뢰를 수거하는 것은 불가능에 가까운 일이라고 합니다. The Joint Investigation Group said that they believed the vessel was a merchant ship that had sunk over 60 years ago. They were already aware of the ship before the team led by Lawmaker Choi discovered it, but decided not to announce it, because it was unrelated to the Cheonan. Salvage experts, however, say its presence is significant in regards to the “No. 1” torpedo fragments uncovered by a trawler. 28. 조류와 수심을 고려할 때 쌍끌이 어선의 그물 길이가 300미터가 넘어야만 쌍끌이 어선 운용이 가능하며, 이 경우 침몰선을 피해 다니며 정밀 수색한다는 것은 힘들다는 것입니다. Salvage expert Lee Jong-in says that a trawl net must be more than 300 meters away from the ship to operate. The fragments of the No. 1 torpedo were discovered within 300 meters of the sunken vessel, meaning that it would have been nearly impossible for the trawler to uncover the fragments while avoiding wreckage from large vessels. 29. 러시아 조사단도 이 증거물이 6개월 이상 수중에 있었던 것으로 보인다며 증거 능력에 회의를 나타냈습니다. 그러나 무엇보다도 어뢰 폭발로 설명이 안되는 부분은 바로 충격파입니다. 수중에서 폭발이 일어나면 먼저 충격파가 물을 타고 구형으로 전파됩니다. 이후 가스버블이 팽창과 수축을 거쳐 수면에 도달하게 되면 강력한 물기둥으로 솟구치게 됩니다. 선체를 직접 타격하는 버블제트 물기둥에 대해서는 그동안 많이 알려져 왔습니다. The Russian team also cast doubt on the “No. 1” torpedo. They deduced that it had been underwater for more than 6 months, far longer than the Joint Investigation Group’s estimation at 2 months. Moreover, the part of the torpedo theory they simply could not explain away was the shock wave that split the ship in two. When a torpedo explodes in the water, the primary impact is a shock wave, which spreads through the water in the shape of a sphere, The water column produced by the gas babble)is the second effect of the explosion. The Joint Investigation Group explained that the water column was the main cause of the ship’s split, and was therefore highly publicized. 29-1. 그러나 실제 폭발 에너지의 53퍼센트를 차지하는 것은 바로 이 충격파입니다. 국내의 한 연구원은 이 충격파가 중력가속도의 열여덟배, 즉 18G를 넘어가게 되면 머리의 인체 안정성을 확보할수 없다고 말합니다. The shock wave employs 53 percent of the explosion’s energy. One expert that spoke on the condition of anonymity said that if the shockwave is 18 times stronger than “G,” the acceleration of gravity, the human body is unable to resist damage. Question: Where did the 18G and 50G criteria come from? 30. 합조단은 그동안 천안함의 경우 TNT 이삼백 키로 규모의 수중 폭발의 영향을 받았다고 주장해 왔습니다. 그 영향에 대한 전문가의 의견은 이렇습니다. The Joint Investigation Group concluded from calculations that the explosion that split the Cheonan was equal to 200-300 kilograms of TNT. Expert Shin Yong-shik, a member of the Joint Investigation Group, says that when an explosion takes place, the following would result. 31. 이 장면은 사건 발생 13일만인 4월 7일, 국군수도병원에서 기자회견 자리에 선 천안함 생존자들의 모습입니다. 일부를 제외하곤 대부분 큰 부상없이 멀쩡합니다. 이들이 100G의 충격을 받은 것으로는 보이지 않습니다. 사망자들 역시 마찬가지입니다. 국립과학수사연구소는 천안함 사망자들의 사체를 검안한 결과, 일부 골절이 있지만 사인은 전부 익사인 것으로 추정된다고 밝혔습니다. This footage shows the Cheonan survivors 2 weeks after the incident. With the exception of two to three crew members, they show little evidence of injuries, and could not have sustained the 100G impact. The bodies of the deceased crewmembers are also nearly identical. The National Institute of Scientific Investigation, which conducted autopsies of the bodies, concluded that although some of them sustained bone fractures, the cause of death, without exception, was drowning. 32. 게다가 1번 어뢰의 실제 폭발량은 그간의 설명보다 훨씬 강력한 것으로 드러났습니다. 천안함에서는 티앤티 외에도 HMX와 RDX라는 고성능 폭약이 검출됐는데, 흔히 이런 폭약을 혼합해 훨씬 강력한 폭발 효과를 낸다고 합니다. The explosive power of the “No. 1” torpedo was in fact stronger than indicated on the Joint Investigation Group’s interim report. The Joint Investigation Group detected HMX and RDX on the ship, both highly powerful explosives in comparison to TNT. 33. 5월 20일 발표 이후 3개월간 합조단은 시뮬레이션 결과 TNT 이삼백키로 규모 폭발시 천안함과 유사한 손상이 발생한다고 주장해 왔습니다. 백령도 인근에서 발생한 지진파의 세기도 TNT로 환산하면 250키로 규모로 파악돼 1번 어뢰의 폭발량과 일치한다고도 했습니다. 그러나 전문가들의 의견을 종합할 때 1번 어뢰의 폭발량을 TNT로 환산하면 350에서 500키로 규모가 되므로, 합조단의 설명은 심각한 오류에 빠집니다. After the interim announcement on May 20th, the Joint Investigation Group maintained that the scale of the explosion was between 200 and 300 kilograms of TNT. This was consistent with the seismic wave produced around Baengnyeong Island at the time of the incident. However, the final compiled data from the Joint Investigation Group’s team of experts revealed that the scale of the explosion was in fact between 350 and 500 kilograms of TNT. This did not match the seismic wave measured at the time, meaning the Joint Investigation Group’s report contained significant inconsistencies. 33-1. 합조단 역시 이런 오류를 인식했는지 9월13일 낸 최종 보고서를 통해 3개월 넘도록 유지해왔던 설명을 뒤집었습니다. 다시 시뮬레이션 해 보니 TNT 360키로 규모가 맞다는 것입니다. 그러나 지진파의 크기와의 불일치는 명쾌히 설명하지 못했습니다. 지진파는 합조단이 그동안 사고 장소와 시간을 특정하는 근거로 사용돼 왔습니다. The Joint Investigation Group admitted its mistake and altered the scale of the explosion. They said that an explosion of 350 kilograms of TNT fit the rest of their data when they altered the simulation. Unsurprisingly, they could not give a clear explanation about the mismatch with the seismic wave data. The Joint Investigation Group previously presented the seismic wave data as strong evidence for the time and location of the incident. 34. 그 어뢰를 쐈다는 북한의 연어급 잠수정에 대해서도 설명이 명쾌하지 않습니다. 군의 설명에 따르면 이 잠수정은 기지에서 사고 지점까지 디귿자 모양으로 310키로미터를 이동해 왔습니다. 이 잠수정의 속도는 시속 5키로에 불과해, 목표 지점까지 도달하는데 이틀이 걸렸습니다. The explanation for the North Korean submarine torpedo launch was even more unclear than the explanation for the torpedo itself. According to South Korea’s Ministry of Defense, the North Korean Yono-class submarine departed from its North Korean base and took a route through international waters that stretched about 310 kilometers in length. A member of the Joint Investigation Group told Lawmaker Choi Moon-soon that the submarine’s speed, at 5 kilometers per hour, meant that the journey took 2 days. “This is not a fact, nor is it confirmed information. It is just widespread speculation. 35. 전문가들은 천안함 사건을 미 해군의 아이오와함 사건과 비교하곤 합니다. 1989년 4월, 아이오와함 선체의 포탑에서 의문의 폭발이 일어나 47명의 수병이 사망하는 사건이 발생합니다. 해군은 조사 3개월 만에 동성애자인 포병 클레이튼 하트윅이 고의적으로 뇌관을 건드려 폭발이 일어났다고 발표했습니다. Some experts have drawn parallels between the Cheonan incident and the explosion aboard the U.S.S. Iowa. On April 19, 1989, the gun turret in the central gun room aboard the U.S.S Iowa exploded, killing 47 of the turret’s crewmembers. After a 3-month investigation, the U.S. Navy concluded that Clayton Hartwig, a crewmember, had intentionally caused the explosion. News media at the time published stories focusing on a concocted failed romantic relationship with another male crewmember in citing the criminal reasons for his actions. 35-1. 그러나 미 의회는 조사결과를 신뢰하지 않았습니다. 해군은 사고 직후 현장을 제대로 보존조차 하지 않았습니다. 의회는 독립기관인 샌디아 연구소에 조사를 의뢰했고, 2년에 가까운 재조사 끝에 하트윅의 유족은 군으로부터 사과를 받아냈습니다. The United States Senate, however, criticized the results of the investigation. The Senate discovered that the Navy had failed to even properly preserve the site of the incident. They decided to conduct a reinvestigation and assigned the task to Sandia Laboratories, as an independent scientific study. After an investigation lasting nearly 2 years, the Navy admitted to their mistakes and apologized to Hartwig’s family. 36. 천안함의 경우도 조사 주체와 기간에 대해 외부는 물론 합조단 내부에서도 비판의 목소리가 나오고 있습니다. There has also been criticism from within and outside the Joint Investigation Group. “There were only 10 days to conduct an investigation at sea due to the inclement weather. 37. 천안함 이후 한미는 대규모 해상군사훈련을 강행했습니다. 중국과 북한도 군사훈련과 해안포 사격으로 맞섰습니다. After the sinking of the Cheonan, the United States and South Korea launched large-scale joint military exercises on the seas surrounding the Korean peninsula. As tensions escalated, China’ Navy responded with their own military exercises, and North Korea fired artillery into the West Sea. 38. 한국의 대미의존외교는 심각한 부작용을 일으켰고, 북한은 급속도로 중국 영향권으로 편입될 조짐을 보이고 있습니다. South Korea’s foreign policy has now become increasingly dependent on the United States, and as a consequence, North Korea’s dependency on China is rising quickly. 39. 천안함 침몰의 원인이 무엇인지는 명확치 않습니다. 그러나 조사과정과 정보공개가 부실했다는 것은 명확합니다. 이 부실한 조사에 한반도의 운명을 맡기기에는 오늘 우리의 상황이 너무 엄혹합니다. Who or what was responsible for the sinking of the Cheonan? As of now, there is no definitive answer. But one thing is clear. The investigation of the sinking was incomplete, lacking in transparency, and even subject to political manipulation. The situation on the Korean Peninsula is far too critical to base far-reaching policy decisions on such a flawed investigation.